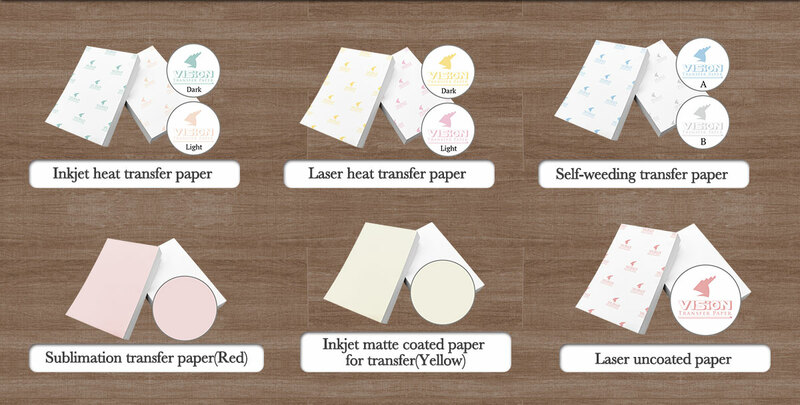 Iron on Transfer paper provides wide applications such as T-shirt, mouse pad, sportswear, cushion, canvas, wood, metal, mug, ceramic tile etc. 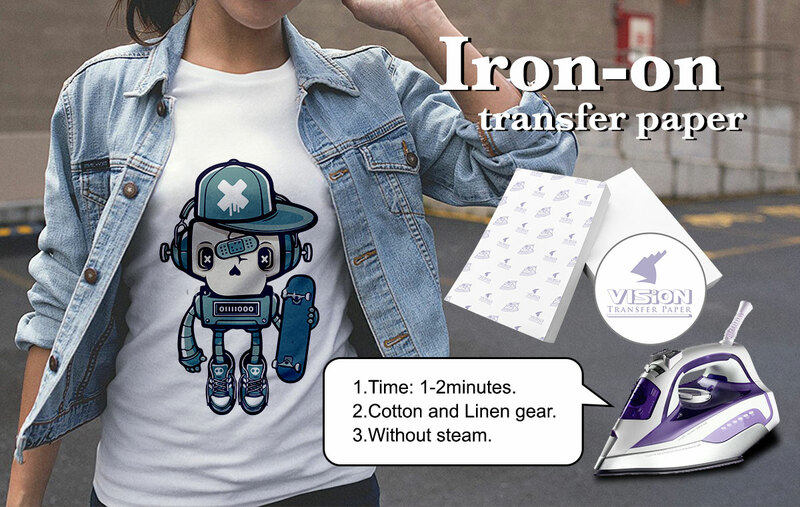 With the new "cool release" technology, this transfer paper is easier to use than ever. A traditional transfer paper user must peel off the base paper right after an image has been heated onto a T-shirt or garment. In this way the T-shirt / garment could be stretched and deformed easily. But our user can wait until the image has cooled down, before peeling the base paper - simple and no worries about deformation. Our special-formula heat transfer paper can be used to transfer digital image onto T-shirt, flag and many other kinds of fabric with just "hand iron" and "inkjet printer" on the market, but at the same time with transferred image perfectly vivid (of course, with a heat press transfer machine would be better.) Plus, the transferred can be washed over and over again without fading. 1.Take a photo of anything you think will make a super cool image. 2.Alternatively,create your very own cool image using digital editing software. 3.Print your cool image out using transfer paper.Make sure to print your image IN REVERSE. 4.Finally,iron over the transfer paper with the image facing down. 5.Show off your cool image to the world.